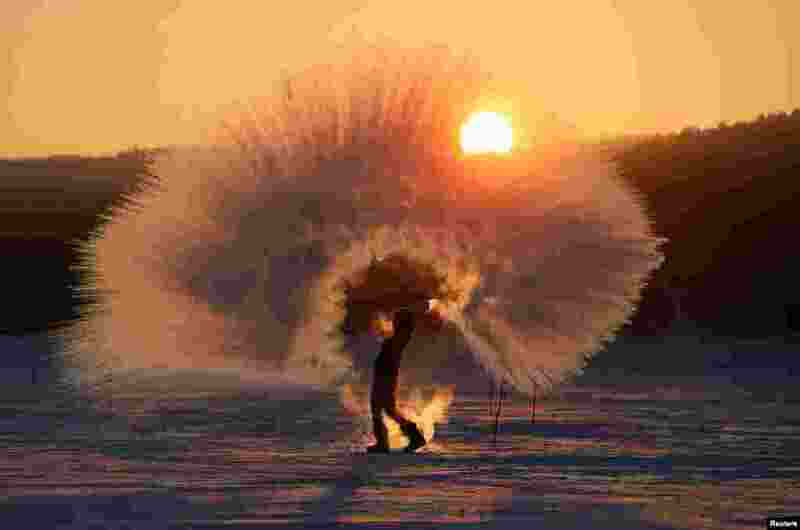 ٢ Winter outdoor sports enthusiast Olesya Ushakova poses for an acquaintance (not pictured) while throwing hot water into subzero air as part of the 'Dubak Challenge,' a social media trend popular in Russia, during sunset outside the Siberian city of Krasnoyarsk. 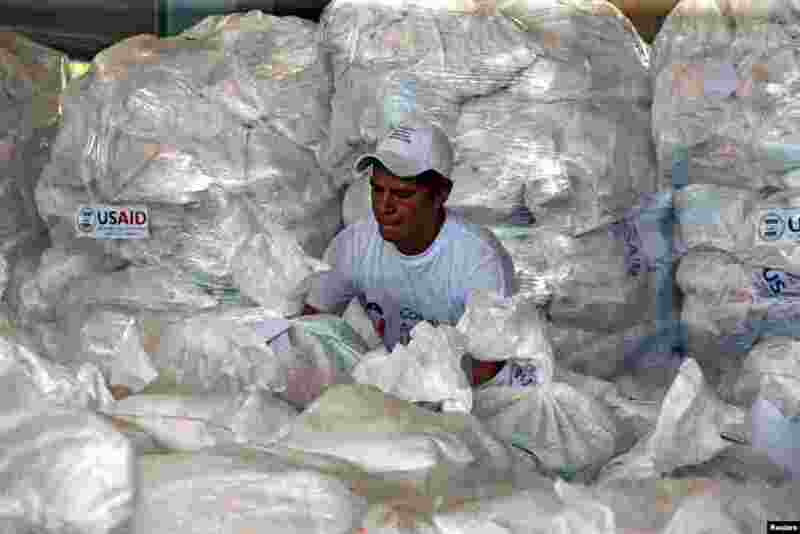 ٣ A worker organizes humanitarian aid for Venezuela at a warehouse near the Tienditas cross-border bridge between Colombia and Venezuela, in Cucuta, Colombia. 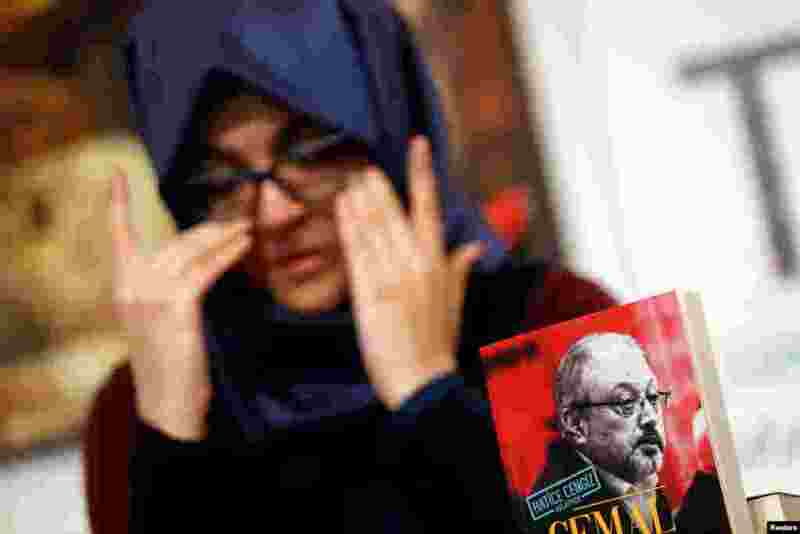 ٤ Hatice Cengiz, Turkish fiancee of slain Saudi journalist Jamal Khashoggi, attends a news conference to present a book on the slain journalist, in Istanbul, Turkey. 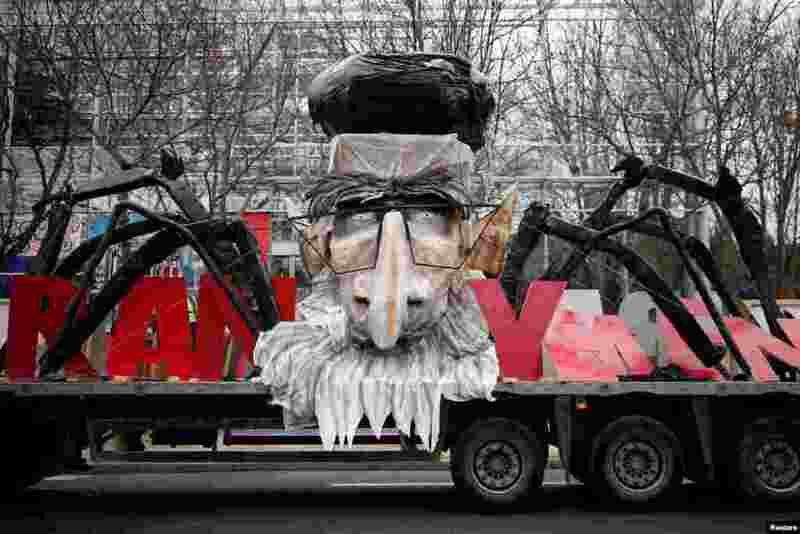 ٥ A truck with the likeness of Iran's late leader Ayatollah Ruhollah Khomeini is pictured as thousands of Iranian opponents in exile protest against the Teheran regime, days before the 40th anniversary of the Iranian Islamic Revolution, in Paris, France.